Albania: The long-awaited inauguration date of QTU is revealed! QTU is now ready. 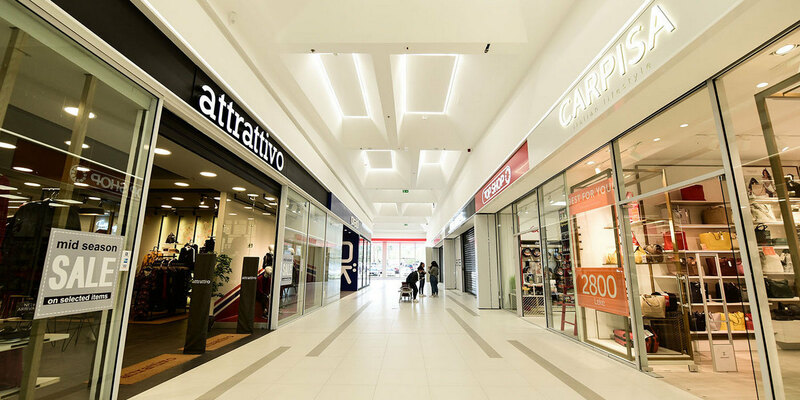 The long wait is almost over and the fully restored commercial center, to which a second floor was added, will be inaugurated on 13 December, in what will be a celebration for all customers who have entrusted during the years to the most beloved commercial center in Albania. QTU customer’s patience during this year, while the mega-structure was undergoing a complete renewal and re-stylization, is now being rewarded with a completely renovated environment with more space, more natural light, a greater number of stores, great entertainment opportunities, from the Cineplexx cinema to the kid’s corner that is unique and the largest in the region. Following a 15 million Euro restoration program and a 12-month intensive workout, a new interior design, brand and new service will be shown to the public for the first time. It is expected that the inauguration ceremony will have a very high number of participants. The ceremony will take place during the days of 13-14-15-16 December, while the center will organize offers, discounts, gifts and many entertainment activities in all its shops and environments. Built in 2005, QTU is the most beloved commercial center by Albanians and it was the first of its type in our country. 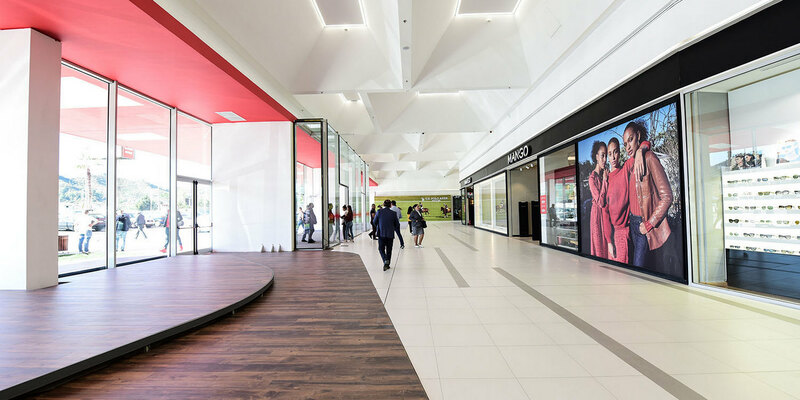 It has an average of 7.1 million visitors per year and on 13 December the center will set the stage to show its new dimensions to the public, where public spaces and services are fully re-designed to better suit consumer trends and to create a new experience in shopping. Why is the children playground so unique? The children’s playground will be a wonderful experience for all the little ones, as it is an indoor and outdoor space, a kingdom of its own kind, a special tale involving children and making them part of a never-ending adventure that is evolving more and more. The special character “Benni Bones” will accompany the children to the world of wonders, to explore, even to learn in dedicated environments, as well as the workshops that will be organized there. The gaming environment is conceived in such a way that the fun will be continuous, and triggers the children’s curiosity every time they visit the center. QTU is positioned as the destination of smart purchases because everything in it is conceived around the client, ease of orientation, ease of purchase, also now to spend quality time by using the entertainment or gastronomic services. Cineplexx comes to QTU with its latest technology already introduced around the world. Cineplexx will have 4 modern halls with about 600 seats, an impressive wall in the entrance hall, special leather seats and double seats, the so-called “Love Seats”. With an investment of over 2.5 million euros, Cineplexx will guarantee a stunning environment for the best viewing experience. Cineplexx will be opened after the center’s inauguration, just before Christmas as a gift to the customers. In addition to its comfortable seating and modern design, the newest cinema in Tirana will provide Europe’s most advanced design technology with the installation of Barco- Laser projectors for the best image quality and JBL Bluelink for extraordinary surround sound. Moreover, all halls will offer Real D 3D technology, virtually allowing the visitors the opportunity to be part of the movie. But what has made QTU so popular for the public and what does it promise in the future? “QTU is easily accessible, as it is only a few minutes away from Tirana’s center, on the most frequented road Tirana-Durres, therefore it is easily accessible, it is easily explored, because the format we have preserved and the extension gives the possibility of an easy and fast orientation. There are carefully selected stores that promise the ideal quality-price purchase ratio, there are smart solutions for family entertainment. So QTU is designed in a smart way. And QTU is the smartest choice where it comes to families, “says Joana Korimi, Acrem’s Marketing Director, the company that manages QTU. A strong point of the newly refurbished QTU will be undoubtedly the gastronomy, with restaurants located both in exterior and interior environments. The outer area will also be accompanied by natural vegetation, making customers feel closer to nature. There will be different kitchens and dishes and a special space dedicated to gastronomy. Restaurants with traditional, modern cuisine or fast meals will make it easier for everyone to choose their favorite dishes. In addition to American Fast-Food Style, these innovations will also be for the cuisine lovers: A self-service, traditional Albanian menu. A confectionery where various high quality cakes will be served, as well as a veranda with a classy restaurant providing Italian cuisine, where visitors can enjoy the delicacy of pasta, pizza, rizzotos and confectionery “Made in Italy”. In addition to increasing volume and surface, QTU will also come with a completely new look starting from the external infrastructure, the change in the interior and the facade image. The latter is intertwined with a metal structure, the implementation of which was realized thanks to its production in factories specializing in robotized systems abroad. This facade is of the capriata style, in which the facade of glass, aluminum and 1167 decorative panels are mounted. The facade color will be completely red, making it attractive and inviting, along the highway and with an emblemation of the QTU logo that will be summed up in the symbol of “Q”, which personifies the search loupe. In a smart destination, you find what you want, fast and easy. The QTU’s surface has been increased by 14,000 sq m, reaching a total of 47,000 sq m.
Expected visitors in 2019: 8.5 million. 1500 employeed, 500 more than before the restoration. New brands, first coming to Albania: NewYorker, Alcott, Burger King, Mango Man, Taff, Buzz. 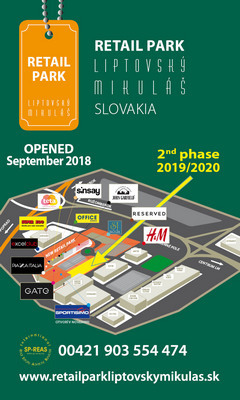 New brands in QTU: Bershka, Stradivarius, De facto, Koton, Cineplexx, Veranda, Calzedonia, Tezenis, Swarovski, Carpisa, USpolo, Pandora, etc. Meanwhile, the Neptun store at QTU comes in the largest and most high tech format, with an innovative design and variety of products, turning it into the largest shop of his network. For more information about the inauguration campaign and activities in QTU you can refer to the website www.qtu.al.